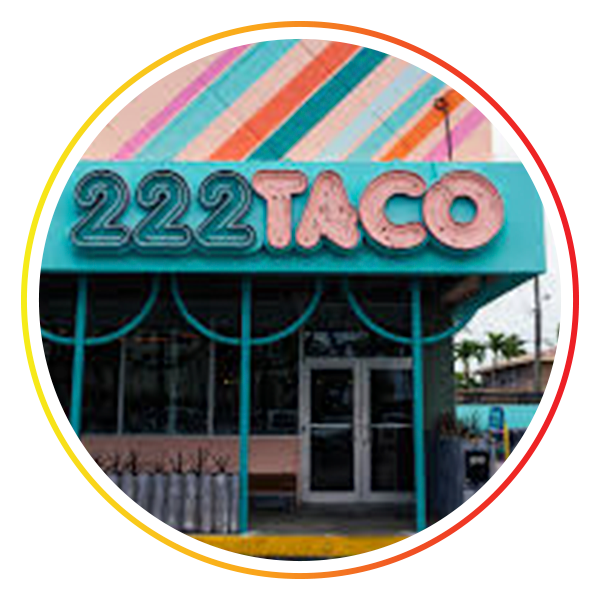 222 Taco is a newly opened North Bay taco joint and popular local spot. With a Cali-Mex meets Miami Vice vibe and a full-bar, there are many times and reasons to pop in for breakfast, lunch, dinner or drinks. Opened by Anna Robbins, the tacos do not disappoint. Go with a classic choice or more new age with all of their Vegan options. Pair it with a slushy margarita and you're all set!